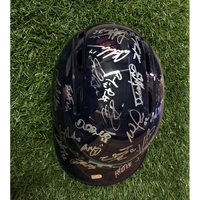 Team autographed helmet (size 7 3/4) authenticated by Major League Baseball. 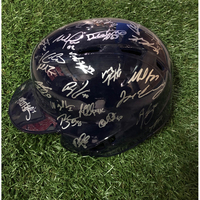 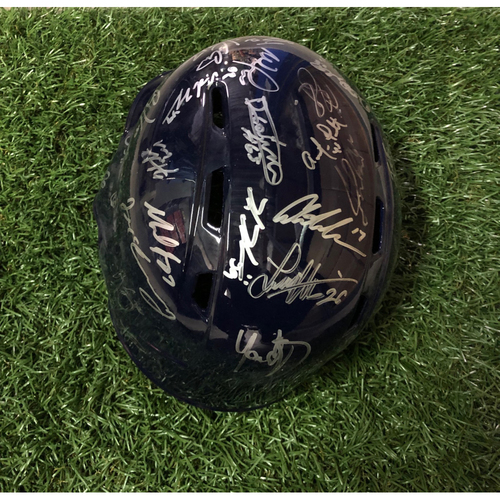 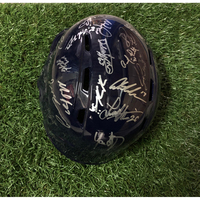 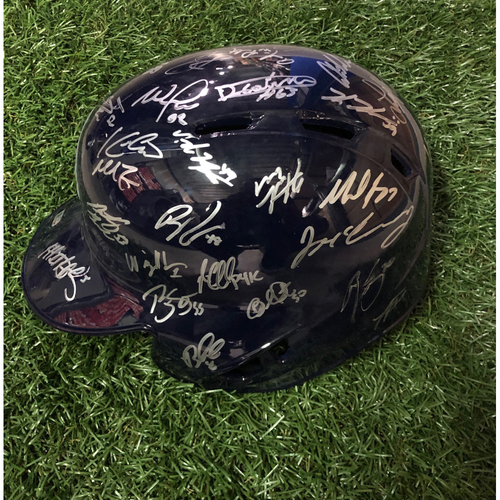 Autographs included: Kevin Cash, Nick Ciuffo, Hunter Wood, Mike Zunino, Jose Alvarado, Diego Castillo, Anthony Banda, Emilio Pagan, Austin Pruitt, Adam Kolarek, Jose De Leon, Andrew Velasquez, Jake Faria, Charlie Morton, Blake Snell, Ryne Stanek, Austin Meadows, Willy Adames, Jalen Beeks, Wilmor Font, Ian Gibaut, Brent Honeywell, Joe McCarthy, Andrew Moore, Chaz Roe, Joey Wendle, Ryan Yarbrough, Tyler Glasnow, Michael Perez, Avisail Garcia, Guillermo Heredia, Yonny Chirinos, Matt Duffy, Brandon Lowe, Christian Arroyo, Daniel Robertson, Ji-Man Choi, Kevin Kiermaier, Yandy Diaz, Jesus Sanchez and Tommy Pham. 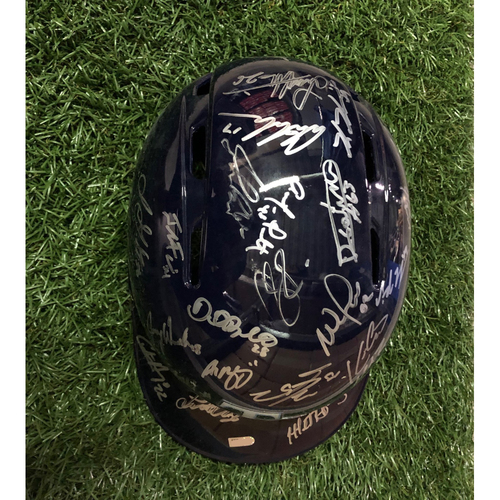 Please note that all items are sold "as is", sales are final and no refunds, returns or exchanges. 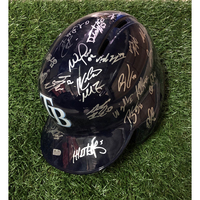 Proceeds from the Rays auction benefit the Rays Baseball Foundation. 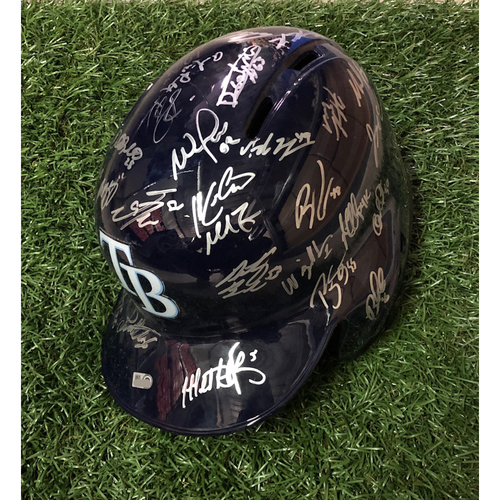 If you're searching for something special from your favorite player please contact us directly at ksreid@rankandrally.com.